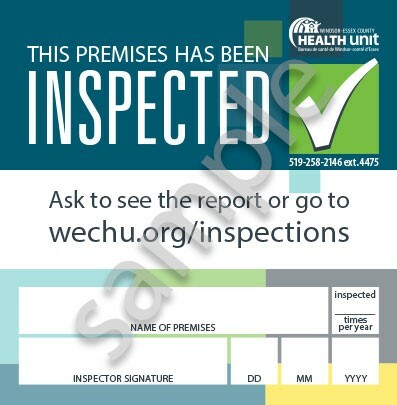 The Windsor-Essex County Health Unit (WECHU) would like to invite the community to visit wechu.org/inspections, where all routine inspections, enforcement activities, convictions, closures, and advisories can be viewed. In 2018, changes were made to regulations under the provincial Health Protection and Promotion Act which made it mandatory for the WECHU to publicly disclose reports in accordance with the Ontario Public Health Standards. These reports promote transparency of inspection and enforcement activities and also display the work being done to better protect and promote individual and community health and strengthen community relationships. Routine inspection reports for all food establishments are available on the new website. New inspection reports for licensed child care centres, public pools and spas, recreational campgrounds, small drinking water systems, and personal services will also be available on the new website. Enforcement activities for all of these facilities, and tobacco and e-cigarette vendors will also be posted. Seeing one of these signs at a place or business in Windsor-Essex County means that it has been inspected by a Public Health Inspector. The 5-star “Safe Food Counts” program and signage has been discontinued. You may still these signs at some food premises until the new sign has been provided. Previous inspections on SafeFoodCounts.ca will remain until November 2020. For more information on this program, please visit wechu.org/inspections or call the Environmental Health Department at 519-258-2146 ext. 4475.